Create a new module or edit an existing module by adding custom fields, adding new sections, setting field permissions and editing field properties. 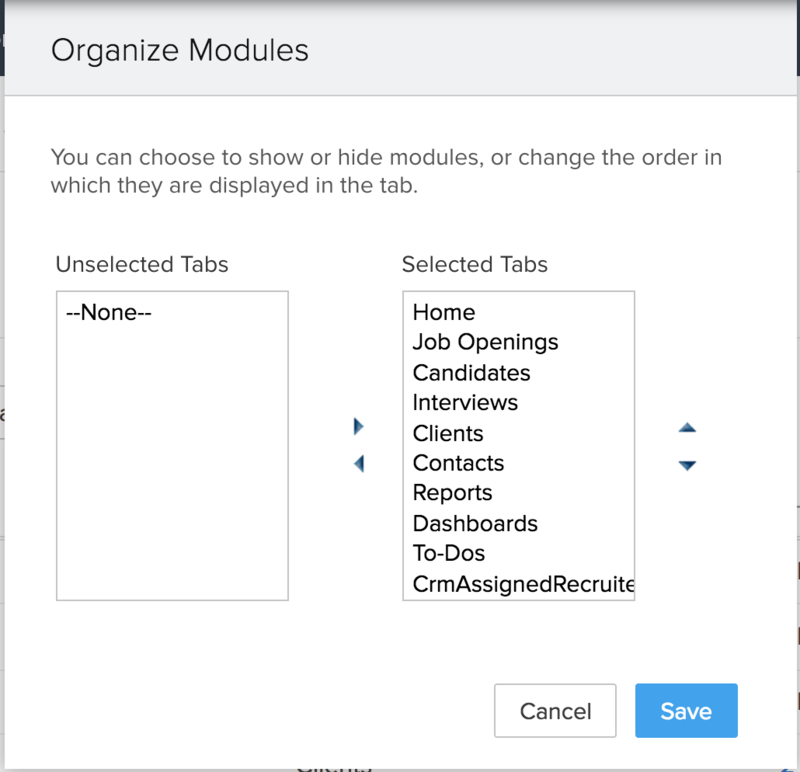 Arrange the modules in your Zoho Recruit account based on their order of usage. You can hide modules if you do not wish to have them and also rearrange them. Unselected tabs will be hidden from all users. 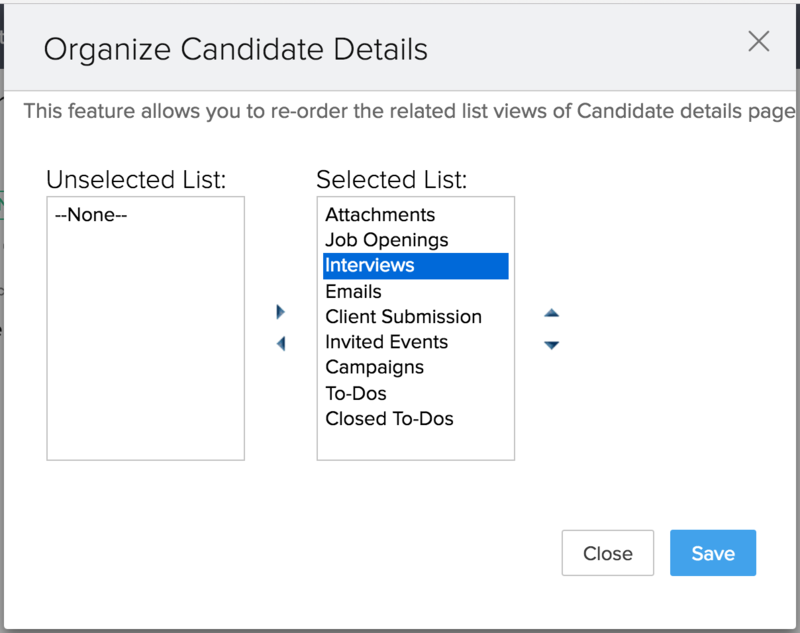 Change the order of the Related Lists such as the Attachments, Job Openings, Interviews, etc., for records in each module. Show or hide some of the related lists as per the organization's business requirements. 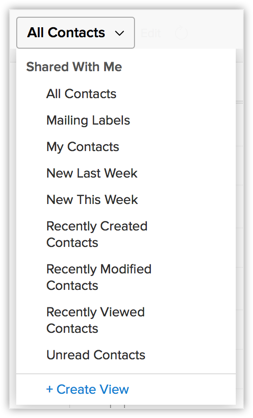 Also, customize related list columns to view only the details you require. Create custom list views to filter records based on a given criteria. This will help you sort out the required records quickly and perform all the necessary operations on the records. Take a quick glance at some of the common operations.